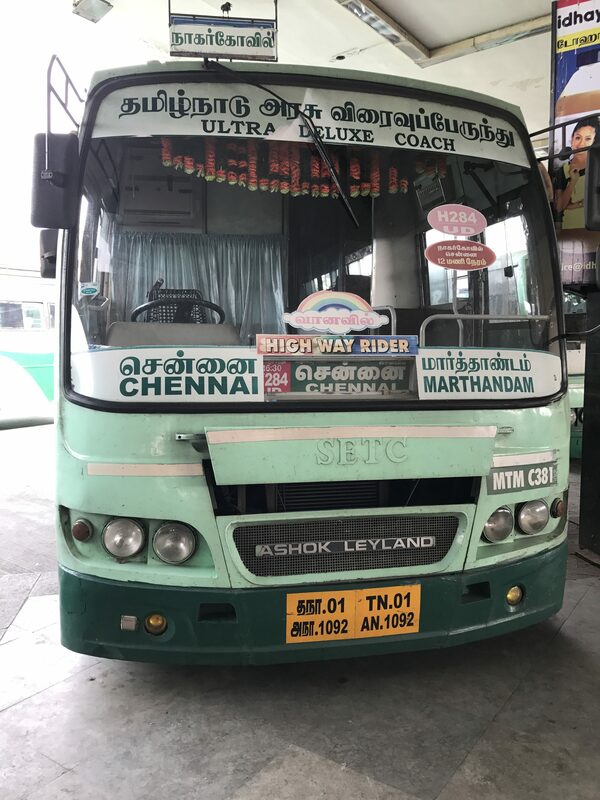 State Express Transport Corporation a subsidiary of Transport Department in Indian State of Tamilnadu operates Vanavil Non AC Bus Service from Marthandam to Chennai via Tirunelveli and Nagercoil. The bus service is tag named as Vanavil and operates two buses in a day to Marthandam. The bus service is a prestigious service as it covers the distance in 13 hours less than 1 hour compare to regular ultra deluxe services. 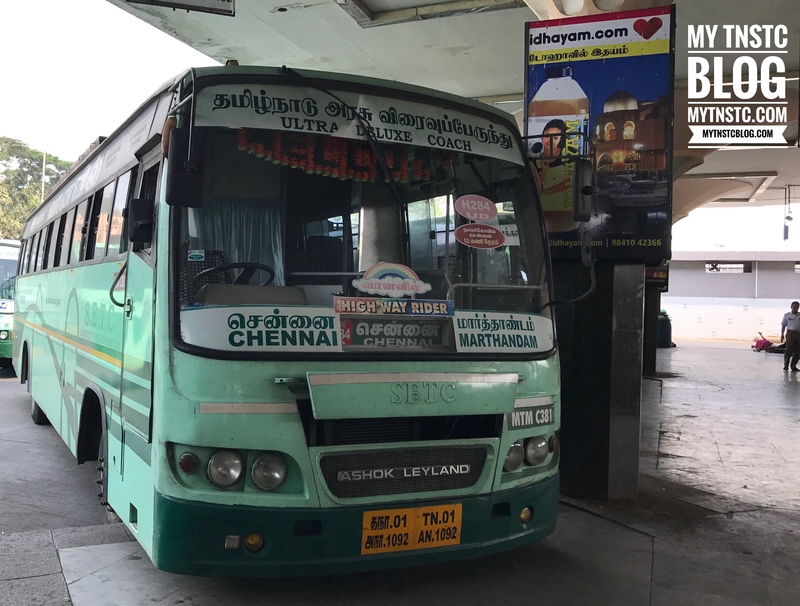 Vanavil Bus 1 departs from CMBT at 5:15 pm, Vaanavil 1 have boarding point at Perungalathur and Melmaruvathur.Vanavil Bus 2 departs from CMBT at 7:30 pm and have a boarding point at Perungalathur. The passengers are requested to select appropriate boarding points during online booking the tickets. The fare for the service is Rs.510 Per passenger excluding the reservation charges. The bus used for service is a Non AC Variant Ashok Leyland built with air suspension and pushback seat features for travel comfort. At present there is no air conditioned service from Chennai To Marthandam.